Anaheim Party Bus Rental For Amusement Park Adventures is the leader in transportation for travelers to or from any theme or amusement parks including Disney Land. We transport hundreds of people each year to their favorite theme or amusement parks with hassle free, affordable and guaranteed service. We offer reasonable pricing because we know how expensive transportation to and from the park can be. We have some of the best competitive prices for service to or from theme parks and amusement parks. Our super shuttle is excellent for group travels to and from airport or hotels and for local tours. ​Our fleet of spacious charter buses, comfortable tour buses, elegant limousine buses, GPS guided shuttle buses, economy school buses, mini buses, vans and entertaining traveler coaches are provided for service to and from any theme park, anywhere . Call us today to get your free quote and consultation for your group. We can help with fundraising assistance. We offer discount pricing and non-profit pricing for your guests and we provide a low price guarantee and quality commitment to provide your travel experience with the most affordable rates of any company. For service to all other theme parks, amusement parks in all other cities, please call our office. Our list of parks in cities of service is to long to post here. We have included some of the top amusement parks and theme parks in our guide. We also offer service to all zoo's, animal parks, water parks and other main attractions throughout the area. Check out our reviews on Yelp where we have received excellent ratings and reviews. We are happy to provide you with a fast, no obligation quote for all your transportation needs. Because all charters and rentals vary with each client, we custom quote each chartered trip based on your travel needs, type of vehicle you request, date and service details. You can call us toll free. Many quotes can be provided fast. Our limo service prices are cheaper than other companies in the area. When it comes to our travel entertainer coaches, then no one has our company beat. If our client is in need of a coach for a local tour, national tour let us provide the transport service you demand. From city to city we have buses standing by and waiting when you need them. Contact our tour office now. The Disneyland express shuttle is the best way to get there. We are better than Uber. You and guests can reserve your transportation now to ensure availability. Our company is licensed and insured. We have safe and responsible licensed drivers who know the areas. Every ride we provide is safe, comfort controlled, and offers prompt arrival and departures. 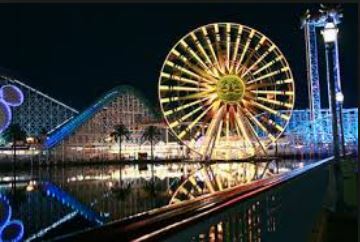 You have come to the best place for transportation to amusement or heme parks. You and your guests will really be pleased that you have chosen the best charter services in town. Let us help you plan your trip to the theme park of your choice.